During the month of November in 2017, Oregon voters decided that the Hillsboro School District would be approved for a $408,000,000 bond. Improvements to technology, structures and equipment, have gone from end of 2018 until the end of 2022. 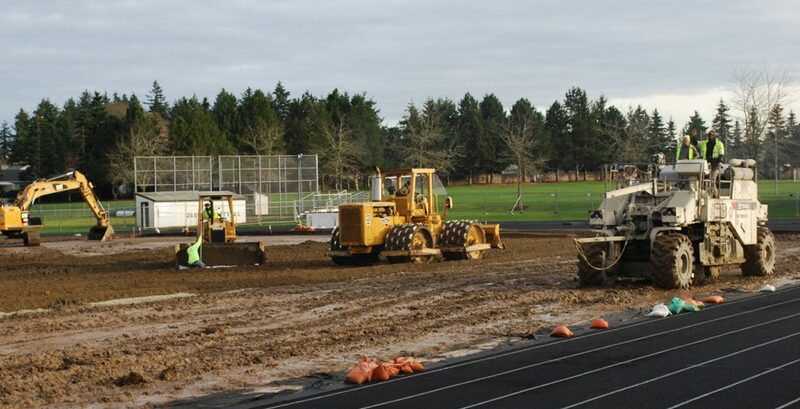 Bigger projects include new turf and equipment are just some of the smaller things that we can expect in schools ranging from lights for football fields, playgrounds for elementary schools, and new portables. So what’s happening to Century? Our major projects include the highly anticipated new turf field/lights and new entry security. 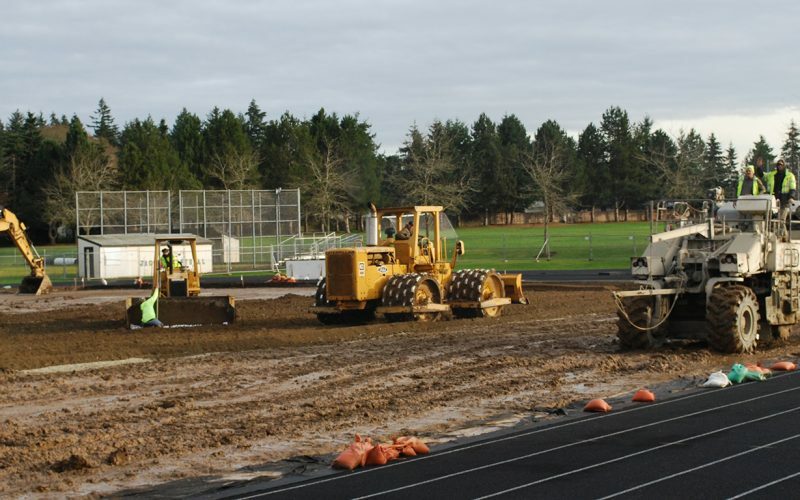 The new turf field/lights project began December 1st 2018. Along with the smaller safety precautions we have already began to take so far in the past year, there has also been some physical implications. Some smaller projects include building renovations that include additional safety enhancements, roofing and HVAC upgrades, and expanded career-technical education-related learning environments. A few of the projects that have began so far since the school year has started are the new security entrances and the track and field. When asking her opinion on the new track she elaborated that it would give other sports such as lacrosse and soccer more opportunities to use the home field. The front office was renovated will to improve the line of sight to the front door, enhance entry security, streamline access into the building, and better monitor visitors to the school. After the start of each school day, all doors will be locked and new entrances will direct students, parents, and visitors directly to the front offices where they will need to check in. The front security door is still under construction and has yet to be tested out for actual security effects. As for the track and field, many days of construction are in the foreseeable future as the renovations continue. The track alone is scheduled to be finished by Spring later this year. Other exciting additions to Century are the early child development building and Culinary room. The new child development building is expected to be placed right outside of North doors. The Culinary room will also be receiving a new renovation. Commercial kitchen casework, shelving, upgrade ventilation and adding a dishwasher/sanitizer. Both of these additions are projected to begin May of this year and have substantial completion by August.